For other ships with the same name, see RV Belgica. In 1916, she was sold and converted to a passenger and cargo ship, serving Spitsbergen from the Norwegian mainland under the name Isfjord. In 1918, she was sold and renamed Belgica, being converted to a factory ship. Requisitioned by the British in April 1940, she was used as a depôt ship, being scuttled when the Franco-British Expeditionary Force evacuated Harstad. In 2007, plans to build a modern replica of Belgica were announced. The ship was 35.97 metres (118 ft 0 in) long, with a beam of 7.62 metres (25 ft 0 in) and a draught of 4.11 metres (13 ft 6 in). She was rigged as a barque. As well as sails, the ship was propelled by a 35 horsepower (26 kW) steam engine built by Nylands Verksted, Oslo. The engine drove a screw propellor that was arranged so that could be raised out of the water if necessary. Patria was built by Christian Brinch Jørgensen at Svelvik, Norway. She was built as a whaler. The ship was constructed of Pine, American Pine and Oak ribs, with 110 millimetres (4.3 in) thick Greenheart planks clad in oak and sheeted in Iron. The ship had a strengthened bow to enable her to operate in ice. Her designer and owner was Johan Christian Jakobsen. In 1896, Patria was bought by Adrien de Gerlache for conversion to a research ship. On 4 July 1896, she was renamed Belgica. A 21-gun salute was fired during the renaming ceremony. De Gerlache raised funds for the expedition from the Société Royale Belge de Géographie. Loaded with 40 tons of food in 10,000 tins, on 16 August 1897, Belgica departed Antwerp, Belgium for the Antarctic, with a crew of 23. Led by de Gerlache, the expedition included Georges Lecointe as captain of Belgica. Other members of the expedition included Roald Amundsen, Henryk Arctowski, Antoni Dobrowolski and Emil Racoviţă. The overloaded Belgica broke down in the North Sea and was forced to put into Ostend for repairs. Two crewmen deserted there and two more crewmen went ashore without permission, returning to Belgica drunk. At one point, Belgica almost rammed the Belgian Royal Yacht. Rio de Janeiro, Brazil was reached on 6 October 1897. Frederick Cook joined the ship there. On reaching Montevideo, Uruguay, the cook was sacked and a Swedish replacement was hired. On the voyage between Montevideo and Punta Arenas, Chile, the engineer allowed the boiler to run dry. He was dismissed when the ship reached Punta Arenas, which was on 1 December 1897. Further disciplinary problems at Punta Arenas resulting in the Chilean Navy being asked to intervene. 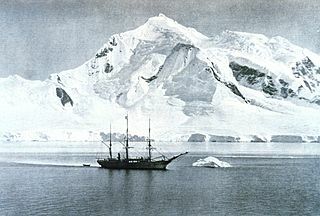 The Swedish cook and three Belgian sailors were dismissed, and Belgica departed for the Antarctic somewhat undermanned. Sailor Carl Wiencke was lost overboard en route to Antarctica, Wiencke Island being named in his honour. Belgica crossed the Antarctic Circle on 15 February 1898. On 3 March, Belgica became wedged in the pack ice. The crew had not prepared for overwintering in Antarctica well. De Gerlache forbade the crew to eat the penguin and seal meat that had been stockpiled because he hated eating it. As a result, scurvy became a problem on board Belgica. Following the death of magnetician Emile Danco on 5 June 1898, the situation worsened. Morale worsened after the death of Nansen, the ship's cat, on 22 June. By 22 July, command of the ship was taken by Amundsen and Cook, as de Gerlache and Lecointe were too ill. Cook insisted that the men ate the penguin and seal meat, following which the crew rapidly recovered from the scurvy. The prospect of a second winter in Antarctica spurred the crew on in their efforts to free Belgica. On 14 February 1899, Belgica was finally freed from the ice, although it was another month before she was able to set sail for Punta Arenas, where she arrived on 28 March. Belgica was repaired in Punta Arenas, then sailed for Buenos Aires, Argentina. Leaving Buenos Aires on 14 August 1899, she sailed for home, arriving at Boulogne-sur-Mer on 30 October and Antwerp on 5 November, sparking national celebrations in Belgium. Following her return to Belgium in 1901, Belgica was again used for whaling. In 1902, Belgica was sold to N C Halvorsen, and then later that year to Philippe, Duke of Orléans. In 1905, she was used in an expedition to chart the north east coast of Greenland, Svalbard and Franz Josef Land, de Gerlache again being involved. In 1907–09, Belgica was used in an expedition to the Arctic], again headed by Philippe and captained by de Gerlache. It was planned to map Arctic Russia], but these plans were abandoned when Belgica again became trapped in ice. In 1916, Belgica was sold to the Store Norske Spitsbergen Kulkompagni, Spitsbergen and was renamed Isfjord. She was rebuilt to include cabins for female staff. Isfjord was used to carry coal and passengers between Svalbard and northern Norway. In 1918, Isfjord was sold to Kristian Holst, Harstad. She was stripped of her bowsprit, dismasted and converted to a factory ship, regaining her former name Belgica. From the late 1930s, Belgica was used as a coal hulk. In April 1940, Belgica was requisitioned by the Franco-British Expeditionary Force for use as a depôt ship storing high explosives. Belgica was scuttled when the Franco-British Expeditionary Force evacuated from Harstad. The Allied evacuation of Harstad took place on 7 and 8 June 1940, and several British ships were also scuttled in order to avoid having them fall into German hands. The wreck of Belgica was discovered at Easter, 1990. Belgica's anchor is an exhibit in the Polar Museum, Tromsø, Norway. The Sør-Troms Museum in Harstad plans to hold an exhibition of artefacts retrieved from Belgica. In 2006, the VZW New Belgica was formed with the intention of constructing a replica of Belgica. The project was officially launched on 9 September 2007 at De Steenschuit's yard in Boom, Antwerp by Kris Peeters, Minister-President of the Belgian region of Flanders. Queen Paola is the project's patron. Construction is scheduled for completion in 2013. It is planned to raise the wreck of Belgica and to put it on display at the Belgian National Maritime Museum, Antwerp. Before the wreck is raised, the Royal Norwegian Navy will remove the remaining ammunition. A 425 km-long (264 mi) scarp on Mercury has been named "Belgica Rupes" by the International Astronomical Union based on a suggestion by the MESSENGER team. ^ a b c "Belgica (ex-Patria) (+1940)". Wrecksite. Retrieved 5 October 2010. ^ a b c "Belgica" (in Norwegian). Archived from the original on 24 July 2011. Retrieved 5 October 2010. ^ a b c d e "Technische fiche" (in Dutch). Belgica Genootschap VZW. Retrieved 5 October 2010. ^ a b c "ANTARCTIC SHIPS". Antarctic Circle. Retrieved 5 October 2010. ^ a b c d e f g "BELGICA". Gia Nhien & Co. Retrieved 5 October 2010. ^ a b Lewis, Val (2002). Ship's Cats in War and Peace. Shepperton: Nauticalia Ltd. pp. 59–60. ISBN 0-9530458-1-1. ^ a b c d e f g h i "Adrien de Gerlache, Belgica, Belgian Antarctic Expedition 1897 – 1899". Cool Antarctica. Archived from the original on 9 October 2010. Retrieved 5 October 2010. ^ a b "Expedities" (in Dutch). Belgica Genootschap VZW. Retrieved 5 October 2010. ^ Kindell, Don. "Naval Events, June 1940, Part 1 of 4 Saturday 1st – Friday 7th". Naval-History.net. Retrieved 25 November 2010. ^ Kindell, Don. "Naval Events, June 1940, Part 2 of 4 Saturday 8th – Friday 14th". Naval-History.net. Retrieved 25 November 2010. ^ a b c "The New Belgica". Steenschuit. Retrieved 5 October 2010. ^ "Belgica Rupes". Gazetteer of Planetary Nomenclature. USGS. Retrieved 2013-12-05. Wikimedia Commons has media related to Belgica (ship, 1884). Baron Adrien Victor Joseph de Gerlache de Gomery was an officer in the Belgian Royal Navy who led the Belgian Antarctic Expedition of 1897–99. 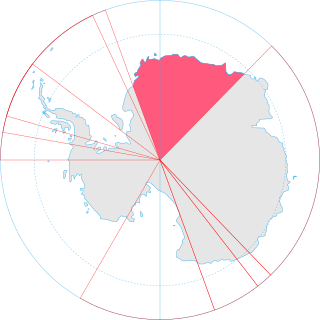 Anvers Island or Antwerp Island or Antwerpen Island or Isla Amberes is a high, mountainous island 61 km long, the largest in the Palmer Archipelago of Antarctica. It was discovered by John Biscoe in 1832 and named in 1898 by the Belgian Antarctic Expedition under Adrien de Gerlache after the province of Antwerp in Belgium. It lies south-west of Brabant Island at the south-western end of the group. 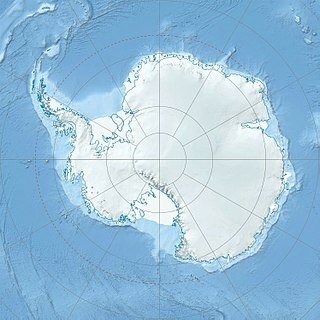 The south-western coastline of the island forms part of the Southwest Anvers Island and Palmer Basin Antarctic Specially Managed Area. Cormorant Island, an Important Bird Area, lies 1 km off the south coast. Belgica Mountains is an isolated chain of mountains about 10 miles (16 km) long, standing 60 miles (97 km) east-southeast of the Sor Rondane Mountains in Queen Maud Land, in the Antarctic. The chain was discovered by the Belgian Antarctic Expedition (1957-1958) under Gaston de Gerlache, and named after the ship Belgica, commanded by his father, Lt. Adrien de Gerlache, leader of the Belgian Antarctic Expedition of 1897-99. The Prince de Ligne Mountains stand about 10 mi (16 km) north of the Belgica Mountains. Giaever Glacier is a glacier flowing northwest between Mount Kerckhove de Denterghem and Mount Lahaye in the Belgica Mountains of Antarctica. It was discovered by the Belgian Antarctic Expedition, 1957–58, under Gaston de Gerlache, who named it for Norwegian explorer John Schjelderup Giæver, counselor for the expedition, and leader of the Norwegian–British–Swedish Antarctic Expedition, 1949–52.